Alumnus of reputed NIT Surthkal College Mr. Makarand Kulkarni guides the companies engineering and technical operations of the company. 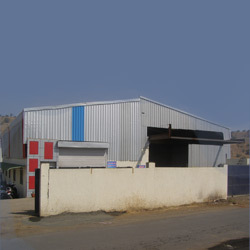 Having 30 years of experience in ThyssenKrupp Industries Ltd as Product Development. Mrs. Sandhya Kulkarni is an Electronics Engineer Handles the Project automation and electrical and instrumentation designs as well as she is also handling Administration and Finance responsibilities. Having more than 14 years of experience in handling export orders, Export document handling, General day-to day Banking and Office administration.